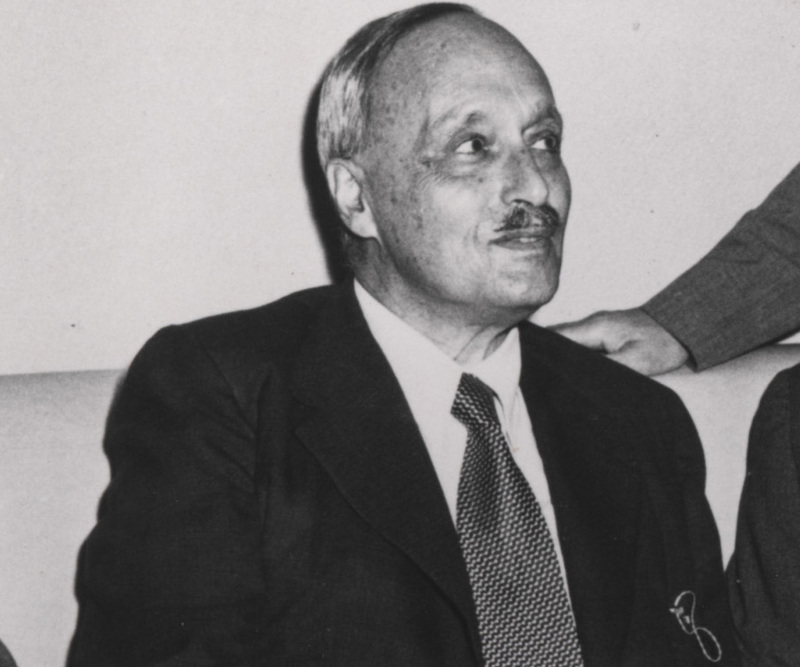 James Franck was a famous German physicist who was awarded the 1925 Nobel Prize for Physics with Gustav Hertz. This biography provides detailed information about his childhood, life, career, research, achievements and timeline. 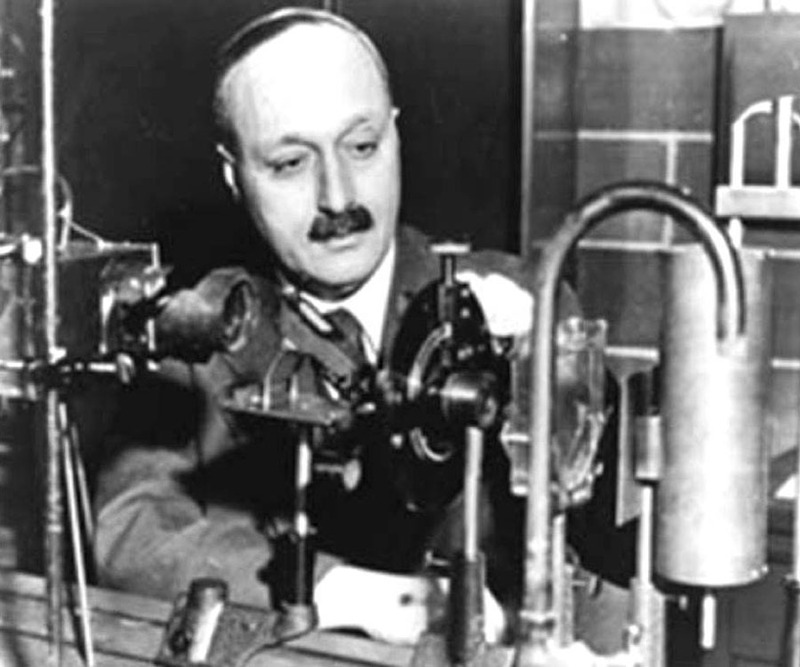 James Franck was a famous German physicist who was awarded the 1925 Nobel Prize for Physics with Gustav Hertz. He contributed a lot to the field of physics as an individual as well as a team. After attaining a doctorate in Physics, he served in the military for a brief period, and later shifted to Germany to pursue his career as a lecturer and conduct research. 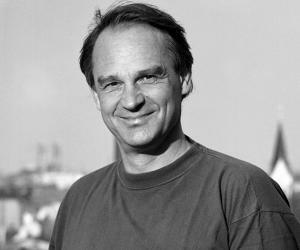 Throughout his career, he was associated with various universities in Germany and the Unites States of America, where he lectured as well as mentored. 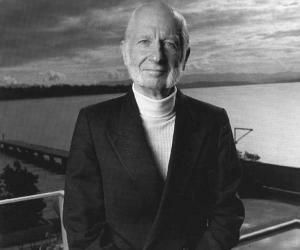 James Franck authored several articles on his studies, either alone or in association with others. He had collaborated with renowned physicists like Lise Meitner, Robert Pohl and Gustav Hertz to name a few. His most critical contributions to science were the Franck–Condon principle (Franck 1926) and Franck–Hertz experiment (1914-1918). He along with Gustav Hertz received the Nobel Prize for Physics in 1926 for ‘thediscovery of the laws governing the impact of an electron upon an atom’. James Franck was born on 26 August 1882 to banker Jacob Franck and Rebecca née Nachum Drucker. He had an older sister Paula and a younger brother Robert Bernard. He started his primary education in Hamburg and by 1891 got enrolled in Wilhelm-Gymnasium where he finished his school studies. In 1901, he enrolled in the University of Heidelberg to pursue law and economics. However, he grew interested in science and soon shifted his studies to physics and chemistry. As the university did not have much credibility in physical sciences at that point, he decided to go to Berlin to continue his education. He enrolled in the Frederick William University at Berlin, and got the opportunity to attend classes by Emil Warburg and Max Planck. As a thesis for his PhD under Emil Warburg, he studied the mobility of ions by using a method devised by physicist Ernest Rutherford. Post the completion of his thesis he was called for compulsory military service. In 1906, he joined the 1st Telegraph Battalion. However, he met with a horse riding accident and was discharged from service soon after, as he was declared unfit for duty. In 1907, he started his career in science as an assistant to Physikalische Verein at Frankfurt. However, he did not feel comfortable and returned to Frederick William University after quitting his job. As per the criteria in Germany during the time, one needed habilitation or ‘venialegendi’, apart from a doctorate degree. For this he began focusing on the several unsolved problems in Physics during the time and by 1914, he had authored or co-authored about 34 articles. In 1911, he received his habilitation. For the preparation of articles, he had worked in association with noted physicists such as Robert Pohl, Robert W. Wood, Willheim Westphal, Lise Meitner and Arthur Wehnelt. He along with Gustav Hertz authored approximately 19 articles. In 1914, he collaborated with Gustav Hertz to research fluorescence. The results of their experiments confirmed Einstein’s photo electric effect and Plankc’s relation. They completed their final paper together in 1918. The experiment also helped in validating Niels Bohr’s model of an atom along with demonstrating the quantized energy transfer from kinetic energy to light energy. The experiment also brought out the fact that the light series of an atom is integral to its structure. In 1914, with the onset of the World War I, he enlisted in the Ferman Army and was sent to the Western Front later that year. By 1915, he had become a lieutenant. He continued writing papers on research with Gustav Hertz throughout his military service. In 1916, he was appointed an assistant professor at the Frederick William University. After the war ended in 1918, he was discharged. 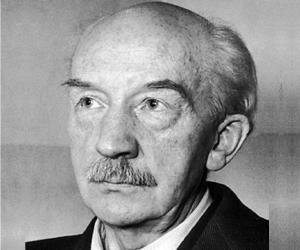 Post the war period, he got a job at the Fritz Haber's Kaiser Wilhelm Institute for Physical Chemistry and Electrochemistry. The opportunity allowed him the liberty to continue his research as he pleased. His initial work was research examining atomic electrons in their excited state, a study that in later period was important for the development of ‘laser’. He along with his new team coined the term ‘metastable’ for the phenomenon when a system spends an extended time in a configuration other than the system's state of least energy. In 1920, James Franck was appointed the Professor of Experimental Physics and Director of the Second Institute for Experimental Physics at the University of Göttingen. Between 1920 and 1933, the university developed into one of the most important centers for quantum physics under the guidance of Physicist Max Born and James Franck. While teaching at University of Göttingen, he proved himself to be an excellent tutor. During the time, he mentored several doctoral students like Arthur R. von Hippel, Hans Kopfermann, Heinrich Kuhn, Fritz Houtermans and Wilhelm Hanle, who later became famous in their respective fields. During this time, he worked on a rule in spectroscopy and quantum chemistry that explains intensity of vibronic transitions. This principle was later known as the Franck–Condon principle. After onset of the Nazi regime in Germany, he resigned his post at the university in protest against racial discrimination of his fellow Jewish scientists and shifted to the United States of America with his family. He was invited to give lectures at the Johns Hopkins University as Speyer professor. He later travelled to Denmark to take up a post as guest lecturer for a year. In 1935, he returned to the USA and was appointed as Professor of Physics at the John Hopkins University. He was in this post until 1938, when he got an opportunity as Professor of physical chemistry at the University of Chicago. During the World War II, he served as the Director of the Chemistry Department at the Metallurgical Laboratory at the University of Chicago. He was also the chairman of the Metallurgical Laboratory's Committee on Political and Social Problems regarding the atomic bomb, and under him the committee submitted a petition that atomic bombs shouldn’t be dropped without warning Japan. This was called the Franck’s report. However, the interim committee decided otherwise. In 1947, he was made ‘professor emeritus’ at the University of Chicago. 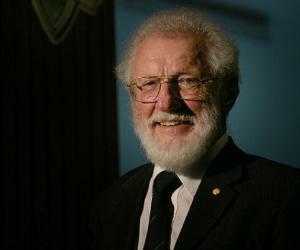 Until 1956, he continued working at the university as head of the Photosynthesis Research Group. He received military decoration from the Kingdom of Prussia - Iron Cross, 2nd Class in 1915. In 1918, he was awarded the Iron Cross, 1stClass. In 1916, he was given the Hanseatic Cross, a decoration of the three city-states of Bremen, Hamburg and Lübeck. James Franck was awarded the Nobel Prize for Physics in 1925 along with Gustav Hertz. In 1951, he received the Max Planck medal from the Deutsche Physikalische Gesellschaft. He was given the Rumford Prize in 1955. In 1964, he was made a Fellow of the Royal Society. James Franck married Swedish pianist Ingrid Josephson on 23 December 1907. The couple had two daughters Dagmar (born in 1909) and Elisabeth (born in 1912). Ingrid died in 1942 in Chicago at age 59. He married German physicist and chemist Hertha Sponer on 29 June 1946. On 21 May 1964, he died of a heart attack while visiting Göttingen. He was 81 at the time of his death.